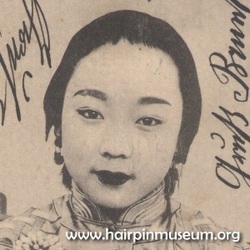 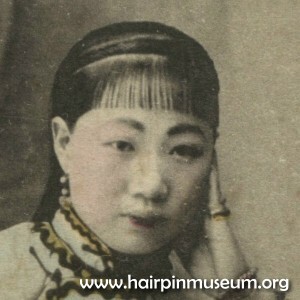 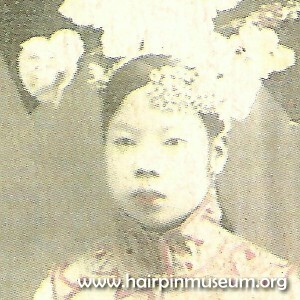 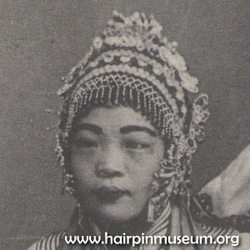 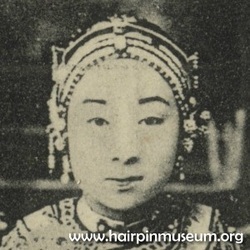 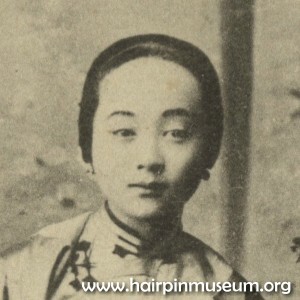 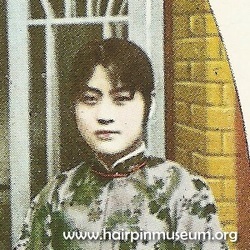 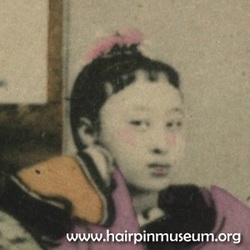 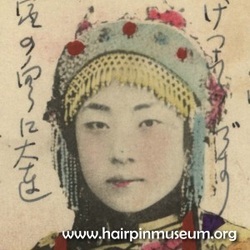 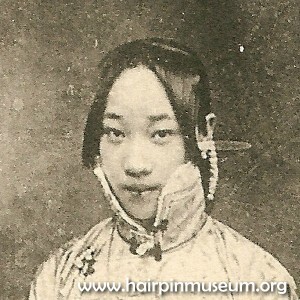 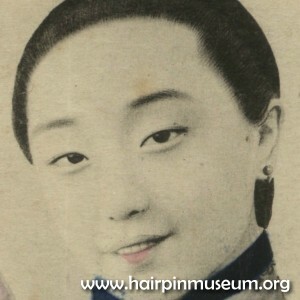 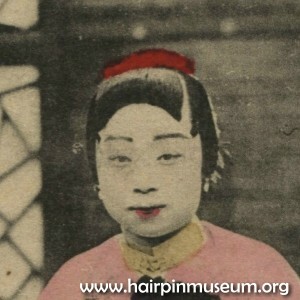 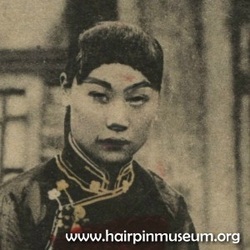 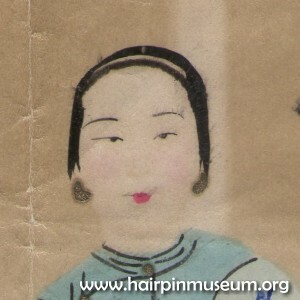 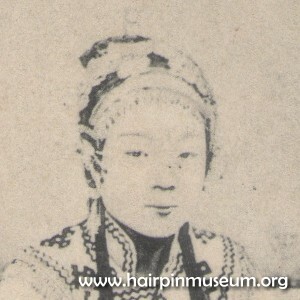 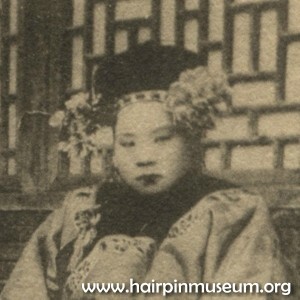 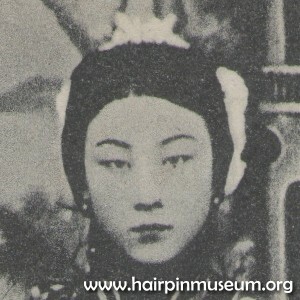 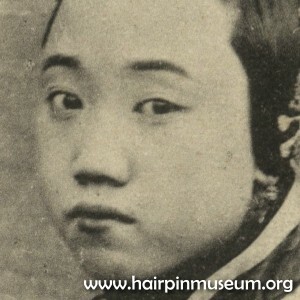 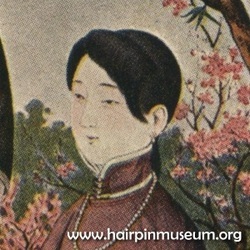 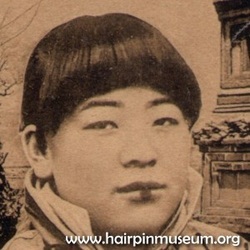 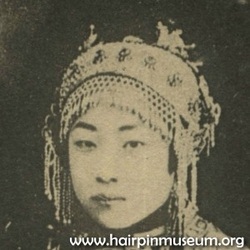 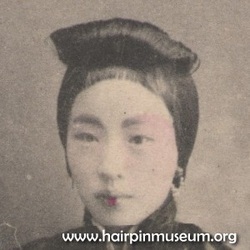 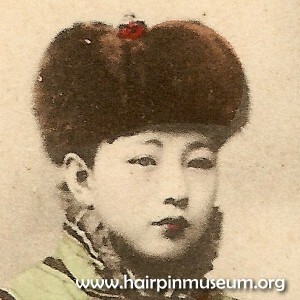 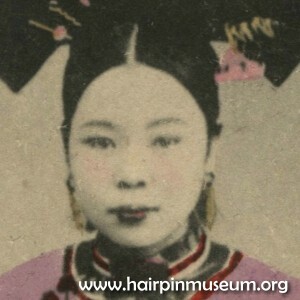 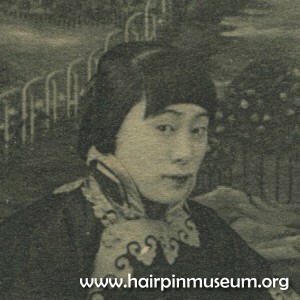 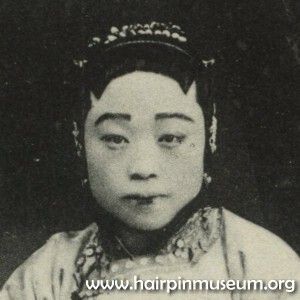 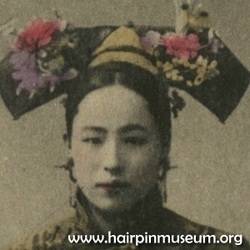 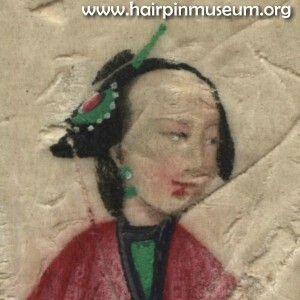 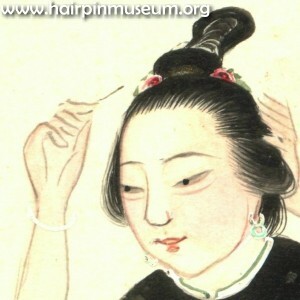 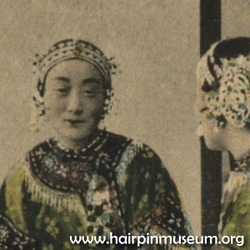 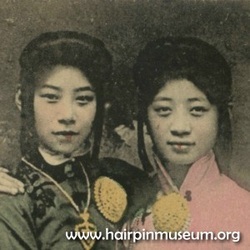 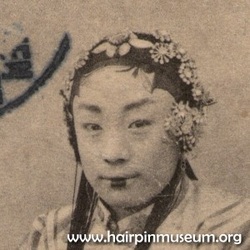 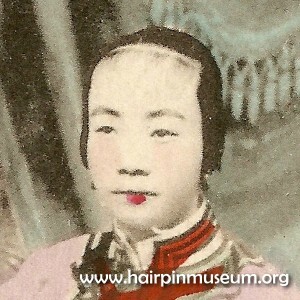 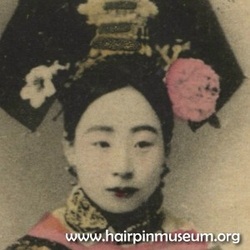 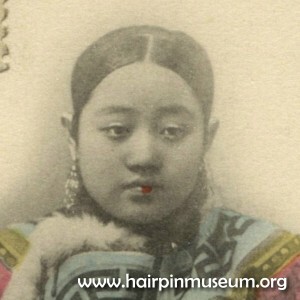 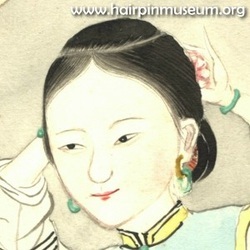 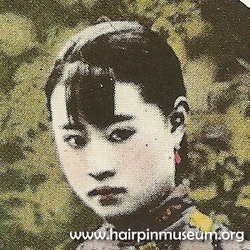 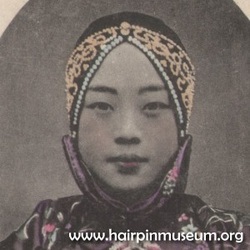 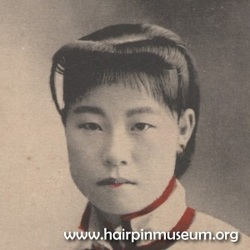 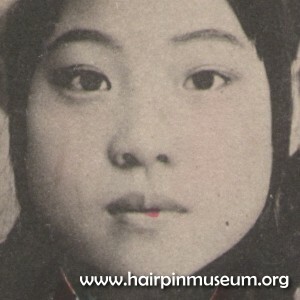 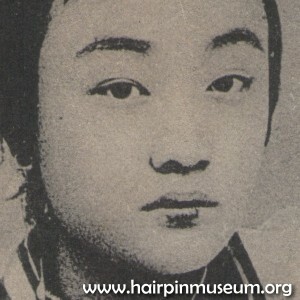 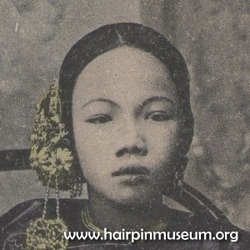 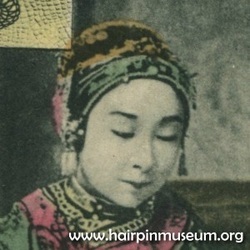 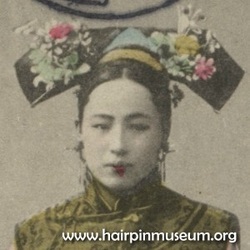 The make up of Chinese women in the early 20th Century focusses on the lipstick. 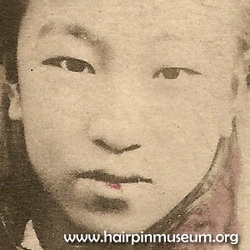 Some of them liked to paint a red spot or stripe on the lower lip. 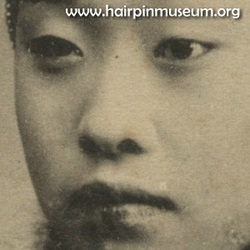 The rest of the lower lip was powdered white to match the white powdered face. 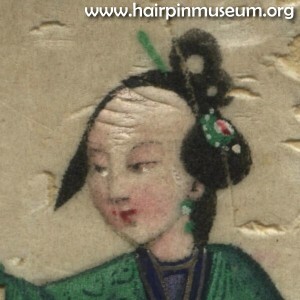 The mouth would look smaller and more delicate if they used makeup in this way. 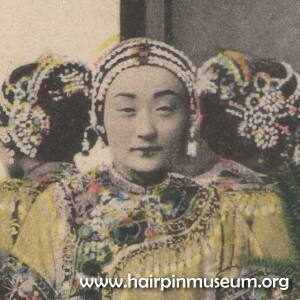 We can see this in makeup style in "hand coloured" postcards. The painter just put a red spot on the lip and did not fill in all of it. 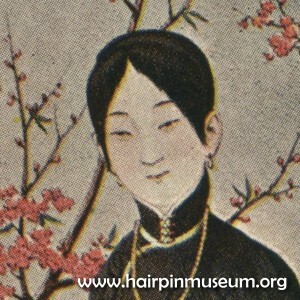 The postcard reflects the high fashion of that time.